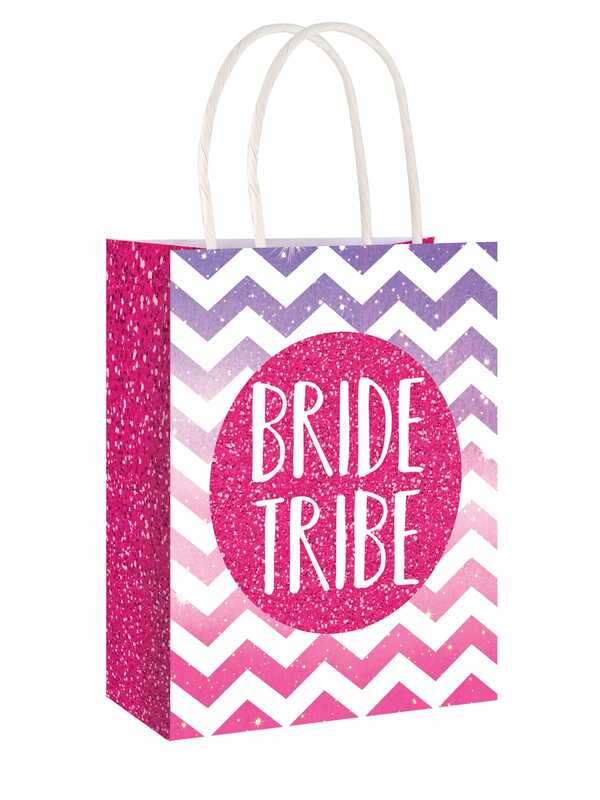 'Bride Tribe' purple and pink party bags with white handle. Ever left a hen party and wish you had some souvenirs to remember the night with? These ombre pink and purple gift bags allow you to make this night a night you'll never forget. Pop some of your favourite beauty bits for you and the girls to enjoy either the day after the hen night or maybe on the lead up to the big day! Free delivery on orders over £40 here at Hen Party Superstore! Seen same other websites, dearer and added delivery cost. These are identical but cheaper - v happy.